Childhood hunger in the city of Baltimore is becoming a dangerous epidemic. 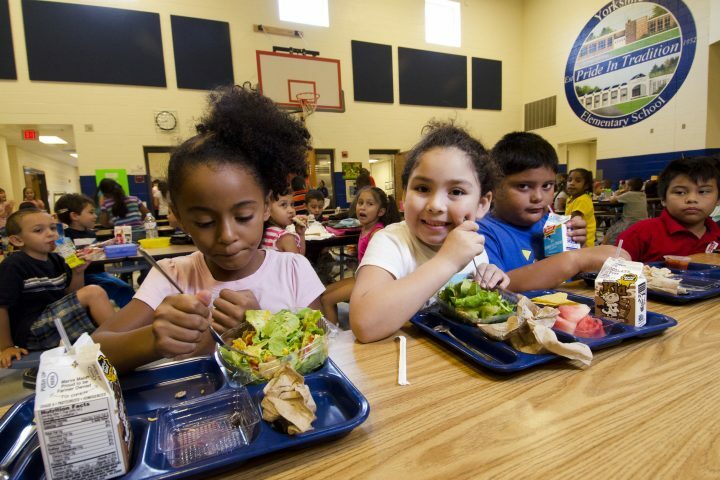 In Baltimore City alone, over 80% of students qualified for free or reduced lunches during the 2016 to 2017 school year according to the Maryland Department of Education- that’s around 74,461 children who could have gone hungry without meal assistance. Baltimore families and residents have been struggling with a poverty and hunger crisis for decades. At least 1 in 4 people, or 26.8 percent of the city’s population, live below the poverty line, exceeding the statewide percentage of 12.5 percent. Poverty is the precursor to struggling with food insecurity: a state of living where individuals lack access to adequate and stable nutrition, forced to resort to emergency food supplies for assistance. Friday afternoons are often a celebratory time for students who need a break from the pressures of the school week. But for thousands of children in Baltimore, the weekend could also mean the absence of several meals. Since 2014, the Baltimore Hunger Project has been working tirelessly to combat childhood hunger outside of school hours by providing weekend food packages to students in need. Beginning as a lunch provider to homeless women and children from her garage, founder of BHP, Lynne B. Kahn, created the organization to bridge the hunger gap so many children experience in Baltimore between Friday and Monday meal assistance programs. Working with social workers and guidance counselors to identify children and families in need, BHP provides over 350 meals to children in fourteen schools across Baltimore City and Baltimore County. Understanding that poverty and food insecurity can be shameful for some children, BHP weekend food packages are discreetly distributed to students, keeping their participation in the program confidential to their peers. BHP works every week with local organizations, school groups, volunteers and generous donators to organize packing sessions to ensure they never miss a deadline for distributing these essential supplies- even one meal can make a huge difference to a starving child. Our team at D’Amore Law wants nothing more than to see the children of Baltimore succeed and aspire to live out their educational dreams. However, without proper nutrition, their chances of attaining academic success are significantly reduced. As active members of the Baltimore community, our team at D’Amore Law has seen the profound impact financial hardships can have on families forced to divide extremely low incomes between paying bits of the rent, utilities, bills, food, and other costs that arise. Sadly, children’s nutrition can often be pushed off if the finances and resources are unavailable, leaving kids attempting to increase their education not mentally prepared to do so. To help reduce the number of hungry children in Baltimore, D’Amore Law first partnered with the Baltimore Hunger Project in 2017, providing volunteers to help out in food packaging sessions and pledging to fund meals for an entire school year for 25 elementary school children. This fall, D’Amore plans to help out again, dedicated to seeing child hunger rates reduced throughout Baltimore and inspire positive change in neighborhoods who need it the most. Sponsor: By opting to sponsor a student or two, you can ensure they are fed for the entire school year! Volunteer: From picking up food deliveries to packing sessions to outreach events, there are tons of opportunities to volunteer for BHP and help give back to the cause. Spread Awareness: Follow BHP on social media to help spread awareness of the hunger crisis in Baltimore and volunteer opportunities available year-round. For more information on helping BHP to feed the bodies and minds of Baltimore youth, visit the Baltimore Hunger Project’s website to start supporting a hungry child in your community.